Pastor Woodley accepted his call to the ministry in 1991 and was duly ordained to ministry in 1998 by The Church of Our lord Jesus Christ. A faithful student of the Word of God, Pastor Woodley attended Biblical teaching institutions, including: New York school of the Bible, Church of Christ Bible Institute, W.L. Bonner College and Bibleway Baptist Institute of New England. He is currently attending New York Theological Seminary, with the goal of M.Div., and has also received an honorary Doctorate of Divinity from the Commonwealth Bible Institute for his Life Experiences and contributions to the Body of Christ. Pastor Woodley possesses a profound love for the people of God. God has bestowed upon him the pastoral gift. In pursuit of his love for the people of God Pastor Woodley followed the leading of the Lord to Pastor the Church that his grandfather founded and built. Pastor Darius Woodley is a man of vision and purpose. Installed as Pastor of the Community Church of Christ in 2001 by Apostle W. L Bonner and Apostle James I. Clark, Jr., he also served faithfully as a member of the National I.T. Committee for the Churches of our Lord Jesus Christ, Inc. Pastor Woodley is currently a member of The Abundant Harvest Fellowship of Churches, where Bishop David G. Evans is the Presiding Prelate. With more than 25 years experience in Computer Technology Pastor Woodley holds a Bachelor of Science degree majoring in Computer Science. Pastor Woodley has provided technical assistance for countless numbers of people during his career. Pursuant to his love for teaching, he is the founder of Life Changers Community Resource Center, Inc. One of the goals of this organization is to educate people of all ages, also to promote literacy in the communities where he is called to serve. 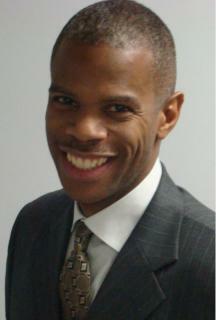 Pastor Darius Woodley is a proven leader with more than 20 years of leadership experience. His life is dedicated to promoting positive change. Pastor Woodley is now an Author to a book entitled: Just When You Thought You Knew It All, Avoiding the needless casualties in relationships.